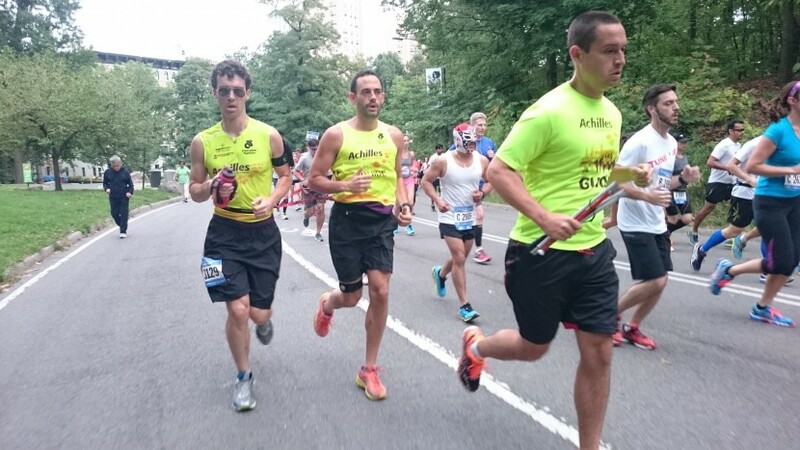 Yesterday Charles, Matt and Dustin ran the NYC Marathon Tune-Up race. NYRR puts this race on the calendar and it semi-officially starts the marathon season. I thought it would be a great way for Charles and our team of guides to practice race day routines and pacing. And boy did it work! Charles and I discussed him running the 18 miles (or 3 laps of central park) with an average pace of 8.15 min/mile, as the first lap a bit slower, the second on target and the third just a touch faster. We would use his subjective feeling to guide us during real marathon pace finding. And guess what?!? The trio ran an exact 8.15 min/mile average! How cool is that. I am very very proud of Charles and the guides for achievement. I was (secretly) worried for Charles, since this 2h+ territory is something relatively new to him. But Sunday took all my worries away (OK, most of them). So with this race in the confidence bank, we are off to another few weeks of training before we cash-out on the streets of Manhattan early November!